One of the biggest names in online betting is Sky Bet whose motto is “it matters more when there’s money on it”. While their primary focus is online sports betting, Sky Bet also offers customers the opportunity to place bets through their TV, over the phone or via their mobile devices. Getting started with Sky Bet is relatively easy and painless: just open a free account from your computer or mobile device and register your credit or debit card, or even your e-wallet. 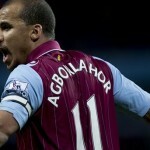 Then get ready to bet on over 750 football matches, 550 horse races and over 20,000 individual markets! Sky Bet has recently redesigned their mobile sports betting platform, while adding mobile sites for Sky Vegas and Sky Bingo, all of which are available for use on iPhones, iPad and Android devices. 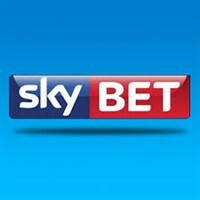 Apps for iPhones and iPads can be downloaded from the Apple App Store, however, if you’re using an Android device you will have to visit skybet.com on your Android browser (note that Firefox for Android is not supported), since gambling apps are not accepted in the Google Play store. With the new mobile sites and apps, you can watch UK horse races directly from your mobile device, but you will be required to place a minimum bet of £1 in order to do so. But when you’re ready to place accumulator bets, Sky Bet Mobile makes it easy with their mobile coupons. If slots and table games like blackjack and roulette are more your thing, then head over to Sky Bet Vegas on your mobile device. While the selection of table games is limited (only three different games at the time of this review), Sky Vegas features 45 different online slot games like Casper’s Mystery Mirror, Rainbow Riches and Worms (based on the popular video game). Like many other online mobile betting sites, the welcome offer for new Sky Bet mobile players changes from time to time. Currently Sky Bet gives new players a free matched bet on their first bet, worth up to £30. But the icing on the cake is the chance for players to cash in with a £5 free bet every week, as long as they place a £5 accumulator bet. This free bet is automatically credited to your account the week after you place your qualifying accumulator bet. The downside to Sky Bet, however, is the fact that you can only claim one welcome bonus across Sky’s products (sports, casino, poker and bingo), so be sure you choose the site (and bonus), that suits you best. 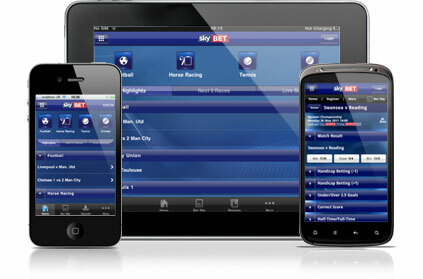 Sky Bet’s mobile sites are fast, well-designed and easy-to-use, which makes placing your bets a pleasure. From the homepage you can find all of Sky Bet’s major betting options, or search through their A-Z list of events. And when it comes to customer care, the Sky Bet support team can be reached around the clock by live chat, Freephone and email.